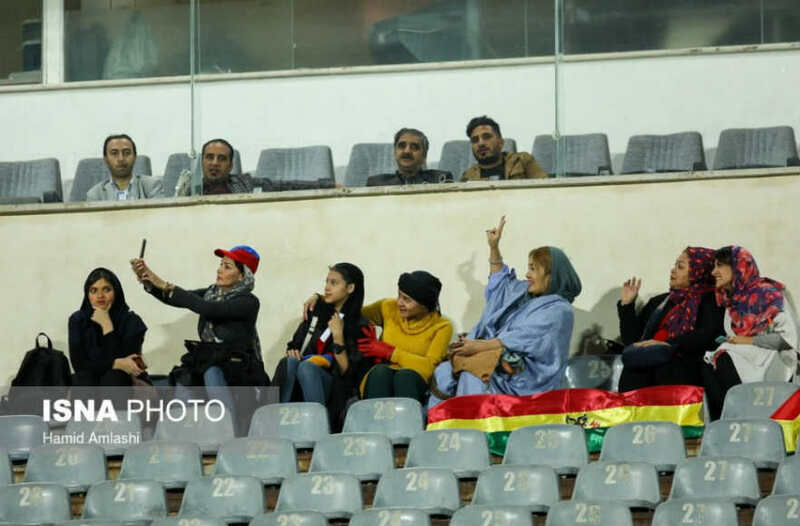 Kayhan London – Authorities in Tehran allowed female football fans to attend a friendly match between the Iranian and Bolivian national teams on October 16 at Azadi Stadium. The move was in response to considerable pressure by Gianni Infantino, the president of the International Federation of Association Football (FIFA), whose “Equality and Inclusion” campaign aims to fight various types of discrimination against women in sports. 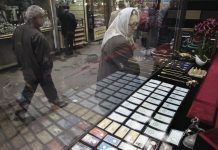 Authorities, however, issued only 200 permits to female spectators, most of whom were members of the Iranian women national football and futsal teams. The rest were family members and friends of the players who had been vetted by the security agencies. 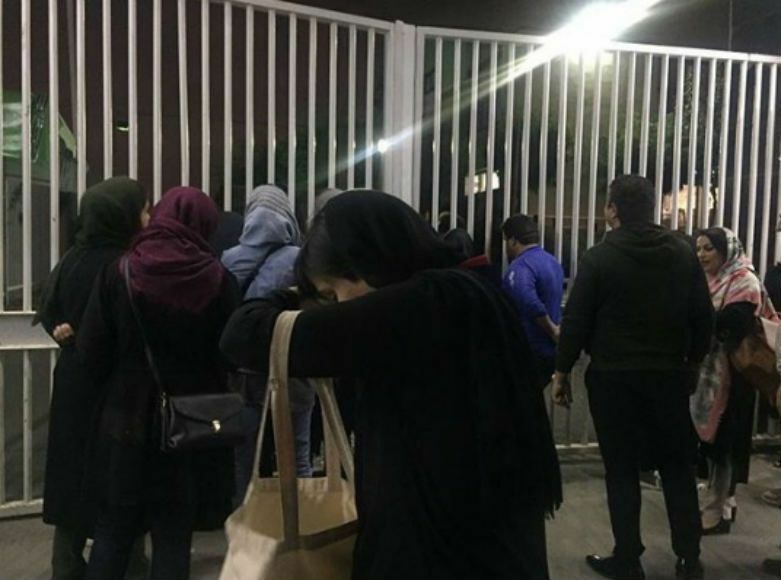 Stadium staff directed all the girls and women through a designated gate which was guarded by police cars and soldiers. 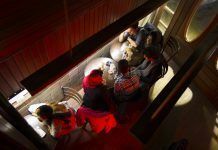 Female fans could not sit near male spectators. There were ten rows of empty seats (security zone) on both sides of their assigned section. 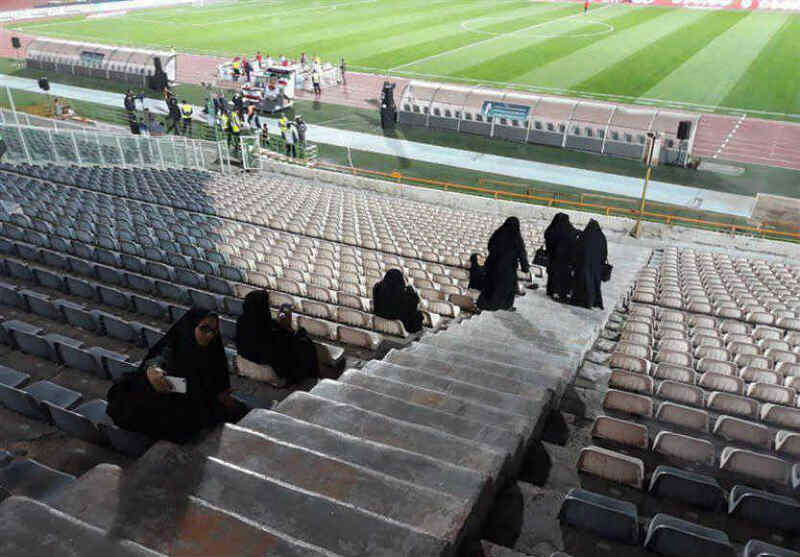 Plainclothes female police and security officers monitored the stands, ensuring that women fans stayed in their section. 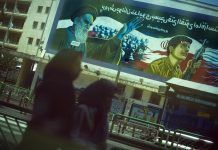 Female security officers wearing the Islamic chador (veil) guarded women’s toilets. 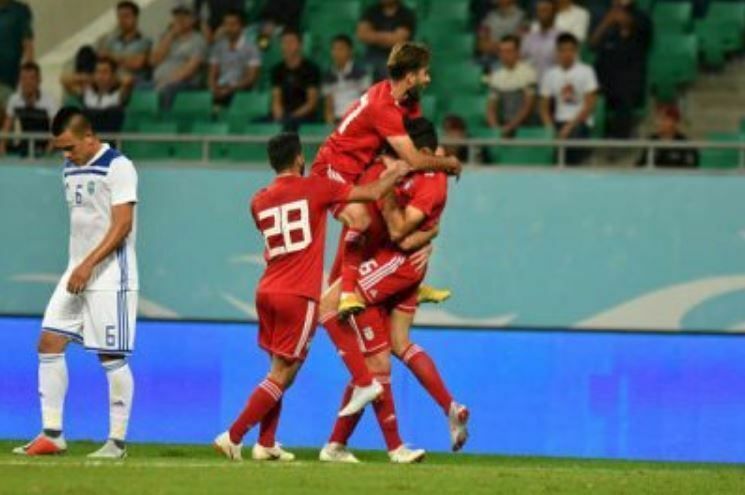 The authorities had also assigned a cheerleader, who wore full Islamic hijab, to the female section, whose job was to orchestrate fans’ cheering for the Iranian national team. 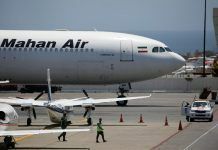 Iranian media and newspapers have tried to spin the event as a significant victory for the government of President Hassan Rouhani. 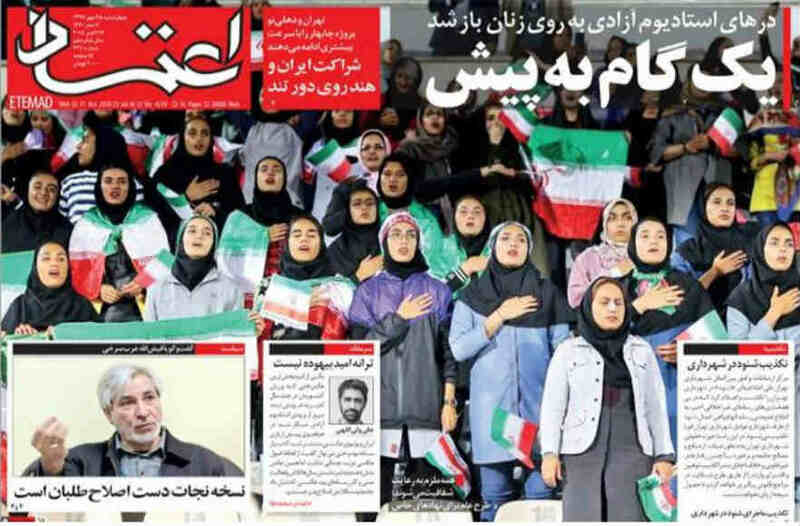 “A massive step towards allowing women into sports stadiums,” was the front page headline of the daily Etemad on October 17. 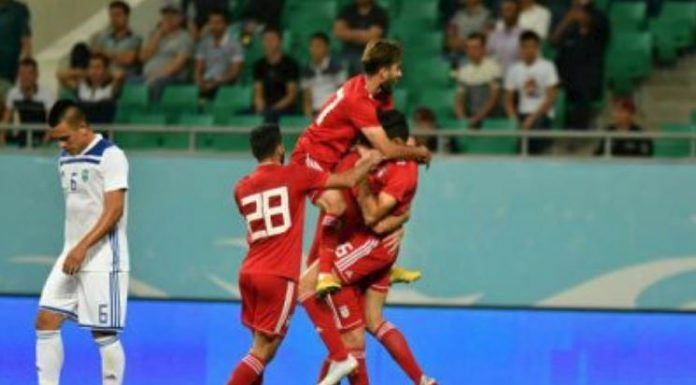 Shargh daily’s front page story was “Freedom for Iranian women.” Neither of the two articles, however, offered any substantive proof that the situation for women football fans would drastically improve anytime soon. 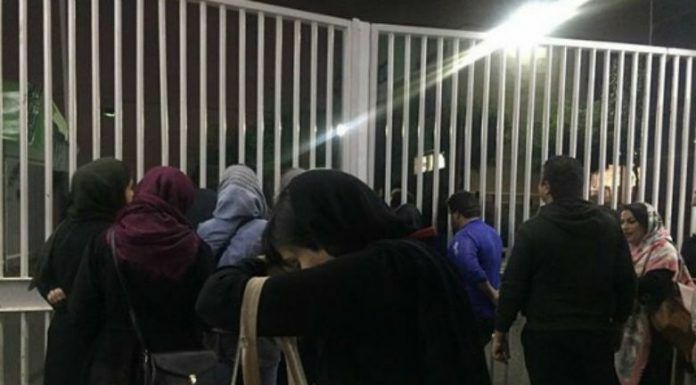 It is abundantly clear that authorities had carefully orchestrated and controlled the presence of a limited number of female spectators at the stadium. 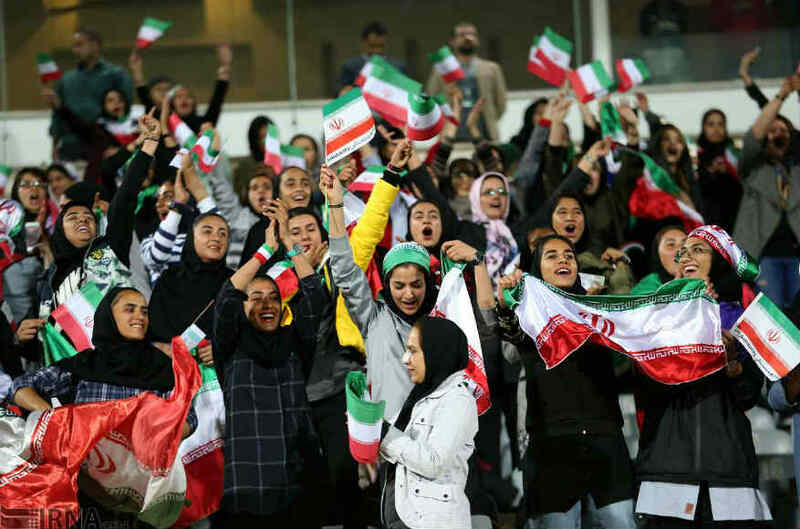 They have, nevertheless, promised to allow female fans to attend a friendly football match between Iranian and Qatari premier league teams later this year. 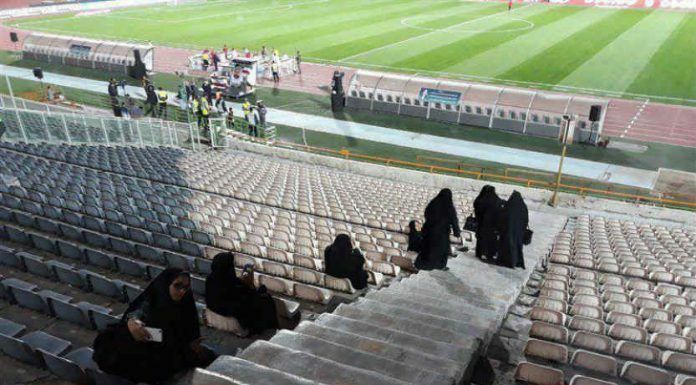 Meanwhile, Tehran police earlier released a statement denying that it had issued permits for women to attend the football match. 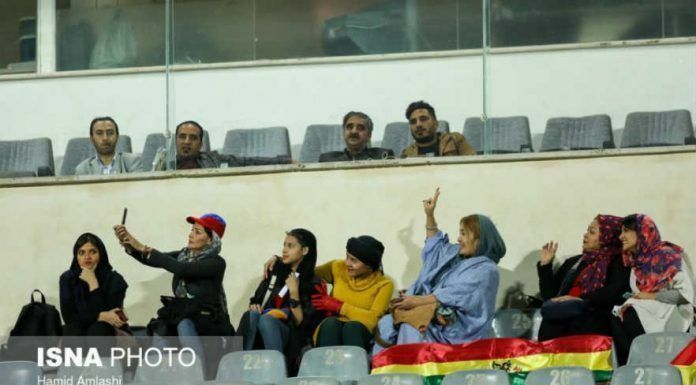 Many Iranians have taken to social media to express their thoughts on the presence of female fans at Iran-Bolivia football match. 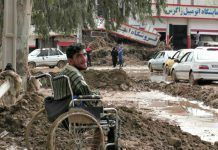 “I wish the members of the women’s national teams hadn’t gone to the match. 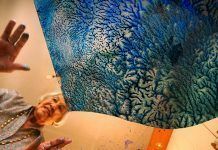 They should have instead advocated the presence of all women at such events,” tweeted Darya @darya_bidel.